What’s Inner West security all about? 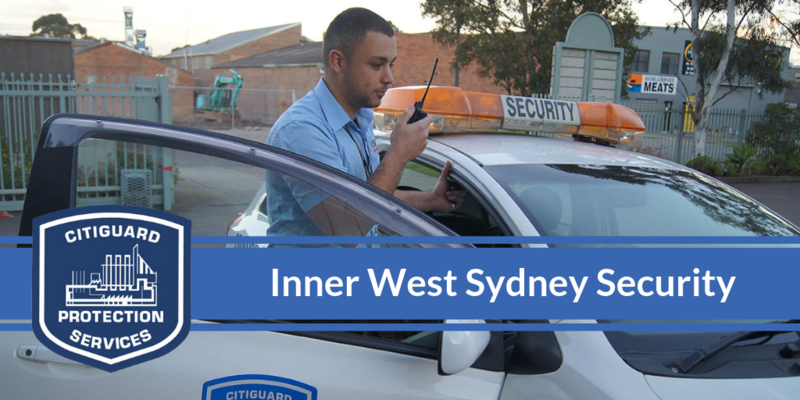 Inner West security is all about dependable, 100% Sydney-based security services including alarms, guards, monitoring, CCTV and more. Whether you’re looking to be safe and sound in Abbotsford, Marrickville or Ultimo, you can be sure Inner West security is all about keeping your business, home and family all safe and sound. Inner West security alarms: There’s no better peace of mind than that delivered by a professionally installed security alarm – and we can also do your back-to-base alarm monitoring for extra serenity! Inner West security guards: We may do alarms better than the rest, but CitiGuard is also one of Sydney’s most experienced security guard hire services! Our guys are fully qualified, licensed and available on a permanent or short-term basis. Inner West security cameras: And in conjunction with CitiGuard Protection Services’ security camera installations, Inner West businesses and home owners can really relax. Get in touch to discover what CCTV packages we can tailor for you. Inner West security patrols: The best way to deter Inner West vandals, thieves, and lockup after forgetful staff members is with the best Inner West security patrol and mobile lock-up service you can get your hands on. Inner West access control systems: For full control over who gets into your Inner West premises, think about asking CitiGuard to supply and install a state-of-the-art keyless entry access control system. Citiguard provides a comprehensive range of security services in Inner West. We also provide services on nearby Sydney region including Sydney CBD, North Shore, Northern Beaches, Western Sydney, South Western Sydney, Parramatta & Hills District. Ready for Inner West peace of mind? Get in touch with our professional team today! What’s best in the Inner West? While Citiguard keeps your home and business safe and secure, why not enjoy yourself – There’s always something exciting happening in the Inner West! Once home mainly to the Sydney working class, the network of suburbs known as the Inner West is absolutely thriving in this 21st century. Bursting with brilliantly restored terraces and cottages, it’s not just the dazzling and exciting European-style food and arts scene that makes the Inner West sing. There are also historic pubs and boutique shopping – and as it’s an easy commute to the city and nearby social hubs, the Inner West is a great place to live, play and work.